Actor, author, and Montreal Canadiens fan, Jay Baruchel, visited Halifax Central Library to discuss hockey, family, and being Canadian. On November 7, 2018, Susan the Sketcher ventured to Central Library to capture an evening with Ami McKay on the Scotiabank Author's Stage as she discussed her latest novel, Half Spent Was the Night: A Witches' Yuletide. 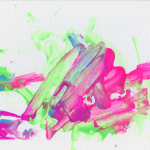 Susan captured the event in one flowing graphic filled with witchy insights and magic moments. View the sketch story. Kyle Andrus knows his way around a guitar, but was eager to try his hand at something new—so he borrowed a mandolin from the Library. 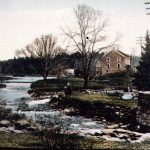 A diverse, significant, and beautiful picture of Cobequid's past has emerged from the audio clips gathered at our Bedford and Sackville Library branches. 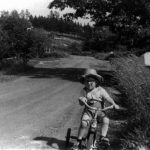 ​Residents of Bedford, Sackville, Lucasville, Fall River, Waverly, and Beaver Bank have shared these stories of growing up, their favourite places, the changes they've seen through the years, and cultural and community milestones. What do you imagine the future will look like where you live? Students in grades 4 to 6 in the Cobequid Region entered a story writing contest to predict the future of their neighbourhood. 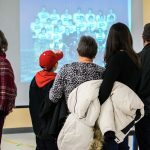 Photos of the Cobequid Past & Future wrap-up party held on Saturday, December 2, 2017. Residents of the Region and those who contributed to the Project gathered to view the products and celebrate Cobequid. Cobequid through the years. 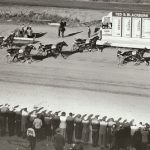 Community members and organizations contributed their photos to preserve and shape an image of the past including the old Acadia School, the Sackville Downs Racetrack, the Bedford Basin and Railway, and many more memories.